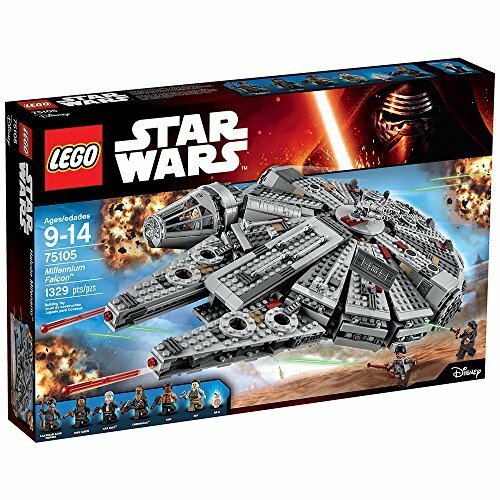 When it comes to Star Wars gifts for teen boys we have you covered. We went through and picked the very best gifts that your teens are going to absolutely love to get. You know . . . the kind they open and actually get excited about and want to use! Are teen boys to old for toys? Not if you get the right ones they aren’t! I know plenty of teen boys who still like to build and they also like technology. And, if they are not into toys so much anymore, no worries, we have other great choices for you as well. Next up is a Star Wars version of Trivia Pursuit. 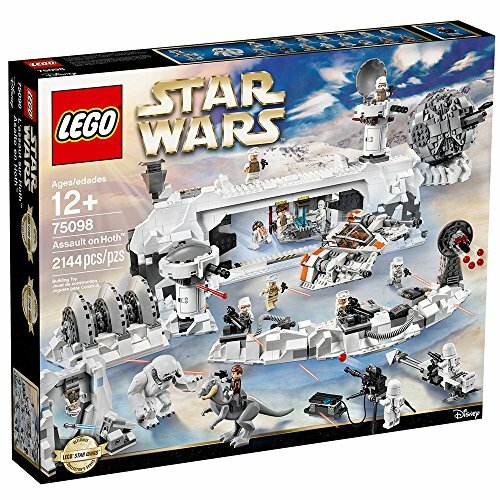 It has 1800 questions and includes special Star Wars movers. The board is pretty darn awesome looking as well. SW fans are sure to want to play with their friends. This is one of Hasbro’s Black Series games. Risk is a hit with boys and this version is extra sweet. It has a tie fighter game board! Instead of a regular battlefield, players can either conquer the Death Star or The Rebel Fleet. There are pictures of the game set up on Amazon. Go check it out, the board and the gameplay make this a great choice. The regular version is a bit cheaper if you would rather get that one. This is one you will want to consider if your boy is a big fan. It is special game with very nice plastic pieces. The game is for 2 – 5 players and lasts approx 2 hours of game play. The great thing about this game is that there are over 30 missions meaning that the game is not played a couple times and tossed aside due to boredom. Because of the number of missions you are basically playing different campaigns so the game is a lot more interesting and fun. Adding to that is the fact that you also get two different types of game. Both a campaign game and a skirmish game. 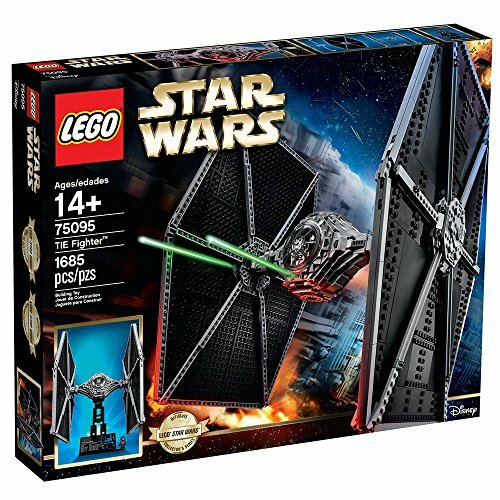 And it also comes with two expansion packs – The Luke Skywalker Ally pack and the Darth Vader Villain pack. Honestly, you cannot go wrong with this game. It is not a 20 buck game, but it is totally worth it because of the number of hours that it can be played, the game play excitement and the quality figures. Grab it now for the ultimate board game gift idea. Here are three unique card games that you could consider buying for your teen boy. X-wing Miniature Game Core set is a two-player tactical game. It is easy to learn but requires strategy to win. It comes with mini starships and cards. This game has expansion packs to keep expanding the game play. Both the game and the expansion packs get very good reviews. Empire vs. Rebellion is not in-depth like the other games shown here but is a good, fast-paced card game that can be played in about 20 minutes. This is a two-player game. It is easy to learn and fun to play! Best of all it is really inexpensive so makes for a nice add-on gift or a stocking stuffer. Star Wars the Card Game is a hit with fans. It is a deck-building game that has combat, strategy, battles and more. It is an LGC (living card game) so if your boy is into that type of game, this is a great choice. They call it “a head-to-head dual for the fate of the galaxy.” Exciting! It is based on the original Star Wars Trilogy. It also has expansion packs which enhance play but the core game comes with everything you need to play. Boys this age still do like to build. They just may need the right thing to build. Something that fits with their interests and that is fun to put together. These Metal Star Wars 3D Model Kits are a unique choice. I have some of these in my Inexpensive Gifts for Teen Boys Guide and they are a hit! Note: these models are small in size. It is a bit hard to tell from the images so I wanted to point that out. See all of the selections by clicking this link, or click the individual images below. Be sure to stop by our Unplugged Gifts for Teen Boys as well! Sometimes you have to dig around a bit to find the good stuff. I knew they still made models but was only aware of the Revell brand as that is what I was familiar with. While those are ok, they are not as detailed as I would like and they are for younger kids. Well, I found these and they are awesome! They are for older builders which is perfect for this list. If your boy likes to build model kits, I highly recommend getting some of these for him. To fill a LEGO need or want . . . go BIG. Teen boys are not necessarily done with LEGO, the just need something that is going to keep their interest. Star Wars + large sets, does exactly this. They want a big set that will take a while to build and that will challenge them as well. Go big and you won’t go wrong. 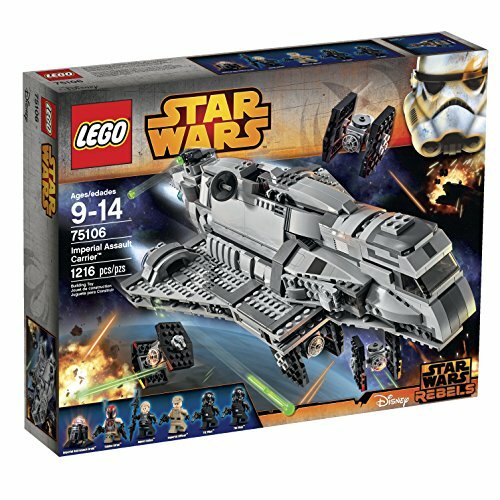 Here are our favorite big LEGO sets that have lot of pieces. They are in order by number of pieces. I seriously would like one of these for myself! 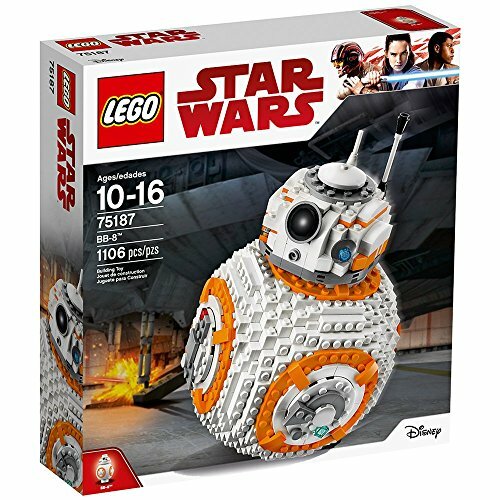 BB-8 with trainer or without trainer. The trainer uses the app to make the device programmable! These are all app enabled droids, so you do need a smartphone or tablet (we use this awesome, yet inexpensive one) to control it. Your teen will is going to have a blast with this. I am simply amazed at what they can do. Click the links to see more and watch the videos. If you can swing it, I would get one with the trainer as it has so much more to it. Boys love their games and the gear that goes with it. Here are some fun ways to add a bit of SW to their world. If they carry a laptop, grab the Boba Fett Madalorian laptop bag. I has a lot of pockets and a super cool look that they will love! If they use a mousepad this round Death Star version should do the trick. It is super cheap and has a high star rating on Amazon. Everyone can use a spare mouse and this one with Darth Vader on has the neat distressed look that the guys this age like. If your boy love music, you have to check these out! When I first saw this I had no idea it was a speaker! But it is! It has awesome reviews and it lights up. This bluetooth speaker comes in three versions so be sure to check them all out. Tie Fighter (pictured,) Millennium Falcon and the Star Destroyer. They are all from The Force Awakens. If you have a popcorn fan in your household (we have a few!) this is a great gift idea. Pick up this slick Death Star Popper and a few Star Wars movies or documentaries for a super fun gift that they will use again and again. The top half of the popper even serves as a bowl! Such a neat feature!! I’ll put the movie choices below so you can pick the ones that will work best for your boy. Here are some good Amish popcorn kernels to throw in as well because you can’t give a popper with the popcorn! Oh, and there is also an R2-D2 popper if that is more his style. Here is a great selection of movie choices to go with the popcorn popper. No matter what your boy likes to drink, he will enjoy drinking it out of these! This is THE coolest mug out there right now. The light sabers appear from the hilts when hot liquid is added! The Light Saber Water bottle is pretty slick as well. It is BPA-free and break resistant. Works great for slipping in a backpack side pouch or fits in most cup holders as well. Fans of the dark side will totally go for this one! This 2018 release of the Star Wars The Complete Visual Dictionary is a new edition and includes over 1500 images. True fans will love it. If they need some down time, try this highly-rated Star Wars coloring book, and throw in a set of these. The 1st 12 issues of the SW Marvel comic book series has been made into a book. If they like comics and graphic novels, this would be a great choice. For other book choices try Thrilling Books for Teen Boys! You would not believe the selection of Star Wars clothes! Star Wars fans love to wear gear that lets others know they are a fan. It allows them find each other! Check out these seriously cool t-shirts and long sleeve tees. There are a LOT of designs to choose from. See all of the Star Wars t-shirts here and the long sleeve tees here. Socks! You should see all of the out-of-this-world choices. Just pick his favorite character or movie and go from there. Hats! You can choose from different styles and price ranges here. They have baseball caps, beanies, winter hats and more. A teen I know really went for the winter hat with Darth Vader and the AT-AT Walkers. Guys like cool stuff for their rooms and these ideas are winners! The Star Wars wall clock has a classic scene and is so cool looking. This one is made of wood. This one is a favorite but there are also other choices available. Either clock looks super slick on the wall of their room. They will totally be taking this when they leave home! This three pattern color changing lamp/nightlight is pretty darn slick and would look great in his room. Try a classic poster. Here are some more poster ideas. Or star ship decals, note, these work best on smooth walls. Here are more patterns, there are so characters and scenes to choose from. 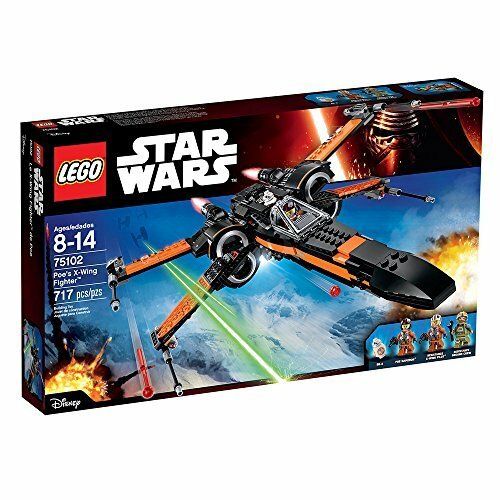 Have you found the perfect Star Wars gift for your teen boy yet? If you have come all the way to the bottom and still have not found “it” (what?! – I’ve got a lot of cool stuff in here! 🙂 ) then try this final link to see if you find something there. I hope the guy you bought for totally loves his gift. Thanks for stopping by!